LRWC has written in the past with respect to various Turkish lawyers and human rights defenders who have been detained, arrested, charged, and/or imprisoned in violation of Turkey’s international human rights law obligations and Turkey’s own Constitution. Communications to the Government of Turkey have been made by LRWC regarding the cases of: Selçuk Kozağaçlı, Şebnem Korur Fincancı, Ramazan Demir, Erin Keskin, Mustafa Aydin, Can Tombul, Taner Kilic and numerous members of the Turkish legal profession. LRWC has also made oral and written statements to the UN Human Rights Council and submissions to the UN Human Rights Committee, the Office of the High Commissioner of Human Rights for the Universal Periodic Review of Turkey and to Special Procedures regarding widespread and systematic persecution of lawyers, journalists and other human rights defenders through wrongful prosecutions and convictions, arbitrary detentions and other grave rights violations. We now write to protest the recent arrest and/or detention of one hundred and eight (108) other lawyers, reported on March 22, 2019. According to a report entitled “Incarceration of Turkish Lawyers: En Masse Arrests and Convictions (2016-2018)” published by the Arrested Lawyers’ Initiative in April 2018, many lawyers have been arrested or charged as a consequence of having defended clients accused of terrorism or for holding certain political views. We understand that the United Nations High Commissioner for Human Rights has observed that the mass arrest and detention of lawyers in Turkey follows a pattern based on the political affiliation of their clients. According to data compiled by the Arrested Lawyers’ Initiative, as of 24 January 2019, 555 lawyers have been arrested since July 15, 2016 and 1,546 were under prosecution. Two hundred sixteen lawyers have been sentenced to a total of 1,361 years in prison. Some of the arrested lawyers were reportedly subjected to torture and other ill treatment. It is unacceptable that lawyers should face criminal prosecution simply for having fulfilled their professional obligations to defend accused persons or for being accused of having a particular belief of opinion. Furthermore, as a consequence of political interference in the Turkish judicial system, including the dismissal, discipline, relocation and demotion of judges who have made decisions which the Turkish government has disliked, and the appointment of other judges viewed more favorably by the Turkish government, there is no realistic likelihood that these 108 lawyers will receive a fair trial before an independent, impartial and competent tribunal. With respect to those lawyers who have been arrested and detained based on allegations of membership in an armed terrorist organization, those allegations are not supported by evidence and appear patently false. It is clear that they have been arrested and detained because of their legitimate and lawful work as lawyers, defending accused persons. The Basic Principles on the Role of Lawyers states at clause 18, that “Lawyers shall not be identified with their clients or their clients’ causes as a result of discharging their functions”. Lawyers should not be arrested or detained based on the fact that they defend clients charged or convicted of criminal or terrorist acts or disliked by the government. Lawyers should not face persecution or prosecution for providing legal representation. This mass arrest of lawyers is an obvious attempt to intimidate the legal profession in Turkey from representing defendants who require their services. It is intended to have the effect, and will almost certainly have the effect, of depriving persons charged with criminal offenses from having effective counsel. The Universal Declaration of Human Rights (UDHR), the International Covenant on Civil and Political Rights (ICCPR) and the European Convention on Human Rights (ECHR) all contain protections for defendants in criminal proceedings. It is a basic and fundamental human right that all criminal trials be conducted in a fair and public manner, before an independent tribunal. The arrest and/or detention of these lawyers is contrary to the UDHR, the ECHR, the ICCPR, and the Constitution of the Republic of Turkey, which guarantees that judicial power shall be exercised by independent and impartial courts on behalf of the Turkish Nation. [T]he  constitutional amendments enshrined and strengthened the President’s powers over the judiciary, thus raising concerns over the independence of the judiciary, the independence of the prosecution services, and the rule of law. An independent judicial system requires that judges be empowered and allowed to make decisions and carry out their judicial duties without interference, intimidation, threats or coercion from the state. Furthermore, it is a direct violation of the Constitution, the UDHR, the ICCPR, and the ECHR for Turkey to take any steps to influence or overturn, by any process other than appeal, the independent decisions of its courts. The mass detention and arrest of these 108 lawyers is a flagrant violation of the ECHR, the ICCPR, the UDHR and the Constitution. the entire process as described above violates the exercise of rights protected by the UDHR, the ICCPR and the ECHR. The detention and/or arrest of these lawyers is part of an on-going campaign of widespread and systematic persecution of lawyers and other human rights defenders in Turkey. The goal of such persecution appears to be to prevent voices of dissent and opposition from being heard and critics and accused persons from having legal representation. Since July 2016, Turkey has prosecuted thousands of people, including over 1,500 lawyers, on charges that fail to comply with the principle of legality and are based on evidence incapable of supporting allegations of criminality. Convictions on such charges before courts lacking independence from the Executive have then been followed by harsh sentences that, in addition to lacking legal justification, do not satisfy the principle of necessity. 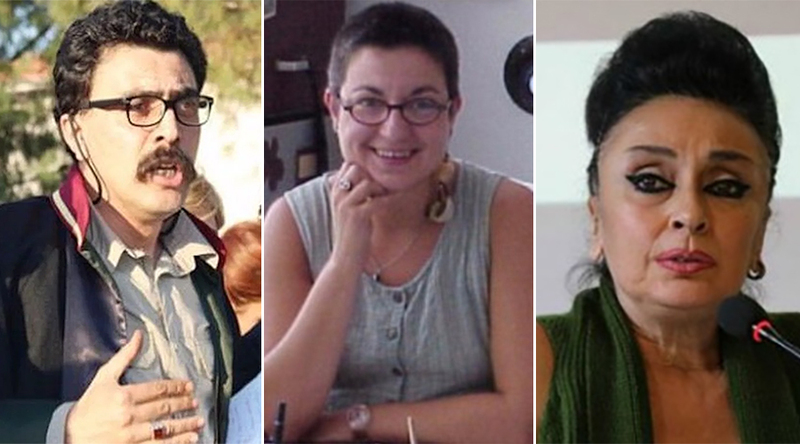 cease the widespread and systematic campaign targeting lawyers and other human rights defenders in Turkey with wrongful prosecutions on the basis of illegitimate charges in order to subject them to arbitrary imprisonment. Joint Submission to the Special Rapporteur on the Independence of Judges and Lawyers concerning International Law Breaches Concerning the Independence of Legal Profession in Turkey 18 September 2018 by the Law Society of England and Wales, the Bar Human Rights Committee and the International Bar Association Human Rights Institute at paras. 23, 33.